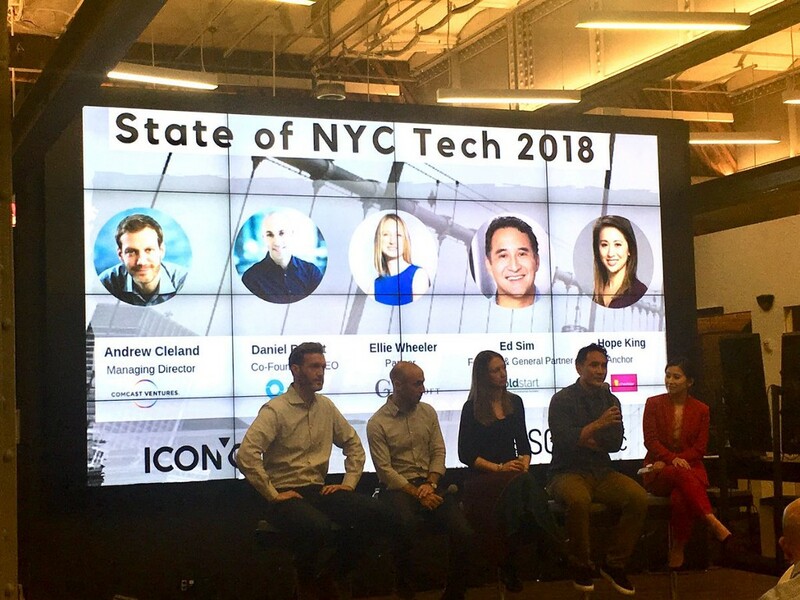 I had the opportunity to speak on a panel a few nights ago hosted by Eyal Bino ICONYC labs on the State of NYC Tech in 2018. This couldn’t have been more timely as Amazon officially announced its HQ2 which includes a location in Long Island City/NYC (see Steve Lohr article on NYC tech). The panel started with our moderator Hope King (Cheddar) asking whether or not there were any negative reactions to the announcement. So this got me thinking. I was just in San Francisco for a board meeting 2 weeks ago for a portfolio company which raised a sizable Series A round. A big discussion point was how to scale from 7–30 employees over the next year. While discussing our need for a VP Engineering candidate, we all agreed that one of the most important criteria was experience managing a remote team. This is not the old days of outsourcing engineering but more about building another engineering function as part of your core team or in Amazon’s parlance, an HQ2. This is a conversation I’ve repeatedly had with boldstart founders on the west coast and one that will continue indefinitely. My strong belief is that startups who build this capability early will have a competitive advantage for the long term as companies in Silicon Valley have a hard time scaling talent after Series B rounds. This same capability also has to be addressed in NYC as soon as possible as Amazon and Google expand their presence and price out startups for talent. Security Scorecard (portfolio co) is based in NYC and scaling and has some of its engineering team in Latin America and Prague. BigID (portfolio co) is in NYC and Israel. Our last two investments were made in Canadian companies with fully remote engineering teams. In fact, we’ve made 9 investments in Canadian startups since 2010. Once upon a time most VCs would run for the hills with fully remote teams but in the world of Github, open source, and a need for amazing talent, this can be a huge competitive advantage…if done correctly. Snyk (portfolio co) is split between London and Israel and brings the whole company together in either location at least twice a year. Front(portfolio co) has a team with two headquarters in SF (CEO/GTM) and Paris (Engineering) — more on their European HQ here. VP Eng Gary Poster from Manifold (portfolio co) used to manage a fully remote team at Heroku and has laid out some best practices and a whole series on how he manages and structures his team — see here. 🔑 to all of the examples above is building a culture inclusive of the whole team, no matter where they are. Process and communication become mission critical to success. The bottom line — amazing engineers can be found anywhere, technology like Slack and Zoom and Github continue to break down the barriers of being in person, and ultimately rather than being a negative, having an HQ2 or fully remote engineering team is and will be a major competitive advantage for startups. I am pumped about the future of NYC but the world also has amazing talent and the sooner you can build a company to take advantage of that talent, the better off you will be. Amazon HQ2 and why every NYC startup should have their own HQ2 was originally published in Hacker Noon on Medium, where people are continuing the conversation by highlighting and responding to this story.